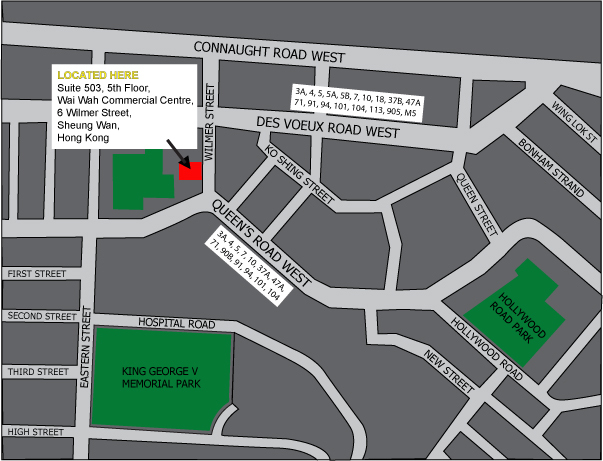 Address: Suite 503, Wai Wah Commercial Centre, 6 Wilmer Street, Sheung Wan, Hong Kong. Office: Open from 3pm till 6pm, Monday to Friday. Closed Saturday Hours Sunday and Public Holidays.